"Where Stars Land" takes over the SBS Monday & Tuesday 22:00 time slot previously occupied by "Still 17" and will be replaced by "The Hymn of Death" on November 27, 2018. Director Shin Woo-Cheol and screenwriter Kang Eun-Kyung previously worked together in 2013 MBC drama series "Gu Family Book." Drama series first had the Korean working title of “Yeowoogakshibyeol” (literally "Fox Bride Star") and then changed to “Incheongonghang Saramdeul” (literally "Incheon Airport People") and then changed back to “Yeowoogakshibyeol” (literally "Fox Bride Star"). Hyun-Bin and Park Shin-Hye were first offered the lead roles, but declined. Park Bo-Gum and Bae Suzy were offered the lead roles, but declined. First script reading took place July 28, 2018 at SBS Ilsan Production Studios in Goyang, Gyeonggi Province, South Korea. Two main posters for SBS drama series "Where Stars Land." Ep.13-14 aired Tuesday, October 23, 2018 instead of on its originally planned Monday, October 22, 2018 date. This is because of a baseball game that aired on Monday, October 22, 2018. Dora the Explorer Apr 20 2019 8:31 am This is one of the worsts korean drama I've ever watched. I was actually so excited to see this drama since I really like Lee Je-Hoon and I also like Chae Soo-Bin, and I've watched a lot of their dramas. It's getting annoying to see Han Yeo-Reum to keep on making mistakes, is she really that dumb? And I really can't feel chemistry between them. I'm on episode 14 now and I decided to stop watching it because it just makes me irritated and mad. Almost everyone in the drama annoys me. I know Seo In-Woo actually cares for Lee Soo-Yeon but he's being a jerk. And a lot of episodes are wasted on stupid things. They shouldn't have made it half an hour per episode because they made a lot of useless stories in every episodes. They should've focused more on the story rather than making some stupid scenes that is obviously not needed. If they're gonna add some futile scenes then they should've made it 1 hour per episodes and 16 episodes instead of 32 because people will just get bored and more annoyed if they'll keep watching it and it ends up nowhere but to a scenes that are useless in the story until they reached the end of the episodes. I wasted my time on watching this. But I really like the fact that Lee Soo-Yeon has a strong supportive device and the fact that he saved Han Yeo-Reum a lot of times. And I really like the chemistry between Oh Dae-Ki and Na Young-Joo. They make a cute couple, I hope they'll get to lead a romantic comedy drama. And I find it more interesting between Han Yeo-Reum and Ko Eun-Sub than Lee Soo-Yeon. Ko Eun-Sub is like a 'highschool guy bestfriend' and they have more chemistry. Anyways, I really don't like this drama. The trailer is good and interesting but if you started watching it, you'll get bored and annoyed. I don't know about others but this is just my opinion. MayDuong Apr 14 2019 11:16 am Please watch this drama. Sorry, didn’t like it Apr 05 2019 5:58 pm Do Not Waste Your Time By Watching This !!! I absolutely loved this drama in the beginning, but I feel like the plot only goes downhill in the second half of the drama. It’s beautiful how Soo Yeon and Yeo Reum’s relationship kind of develops, but a lot of screen time is wasted on ridiculous things, especially on the gangs. This is supposed to be an office drama, but then gangs is brought into it and quite frankly some parts are painful to watch. With the episode that focuses ONLY on the gang, we kinda see Soo Yeon become terminator and the story isn’t exactly a romance anymore. The plot becomes really messed up. For example, Young Ran finds out that her husband is cheating on her, the all of a sudden she is back to her smiley self ??? What happened to Yeo Reum’s father that made us never see him in real life. He is always talked about in the past tense, which makes us assume that he has passed away, but that question is never really answered. Also, what history is there between In Woo, Seo Koon and Moo Ja? Did they fight? What argument was there that created so much tension between them. So many questions are left unanswered! Why? 1) Screen time spend on the gangs DEFINITELY should have been spent on Oh Dae Gi and Na Young Joo becoming a couple. They seemed to actually have more chemistry that the lead couple. 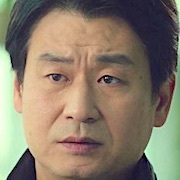 2) What happened to director Hee Seung. Was he fired? Was his plan discovered? Who knows?! 3) We never get to know what happened between Choi Moo Ja, Yang Seo Koon and Seo In Woo. But at the VERY end we find out that Moo Ja and Seo Koon are married but not together??? 4) Do In Woo and Soo Yeon truly reconcile as brothers? We suddenly find out that In Woo still secretly cares for Soo Yeon and suddenly reconcile in the final episode, but who knows! 5) Why didn’t Soo Yeon let Yeo Reum see him disables. Their relationship would have been taken to the next level for Yeo Reum to see Soo Young without his prosthetics. The one year jump didn’t solve anything. We don’t even see this guy’s face at the end! 6) Was Yeo Reum possibly an adopted or fostered child? She mentions a secret once or twice but does also say that she waits for her parents for a long time. This could explain why kids at school saw her as different and why she was bullied. 7) How did Kim Seo Koon actually come to know Soo Yeon? Are they cousins? Is he her son? Or did Soo Yeon tell Seo Koon when he was employed? 8) What argument was between Jung Jae Sung and Director Kwon Hee Seung that there friendship of like 10+ years suddenly disappears? Why is the director SO obsessed with his work? 9) Did the gang get prosecuted after being arrested? Probably so. Looking overall at the plot, the story should have been focused around Oh Dae Gi and Na Young Joo. They had way more chemistry that the lead couple and the two seemed to be more honest with each other. They had cute moments like the matching socks and Dae Gi encouraging Young Joo by letting her return the walkie talkie. Yeo Reum and Soo Yeon hide so much from each other, finishing the story without a proper ending. Small little stories were created, such as Young Ran getting cheated on, but some are not properly resolved. The ending was rushed, and I actually regret watching this drama. I have to admit I really enjoyed the first like 10 episodes, but everything just goes downhill. Soo Yeon does not seem to care that he is quite literally killing himself, which raises the question, “does he really love Yeo Reum?” Well clearly not. Based on the very poorly developed plot, overall I actually regret watching this drama. If you’re looking for a real romance, I highly recommend Doctors. For a romantic comedy, I most definitely and strongly suggest Strong Girl Do Bong Soon. Vei Mar 30 2019 2:20 am One of the best romance drama ever. A very meaningful drama with super nice plot, it was just so smooth. Great acting from the male and female lead and also oh dae gi & na young joo. Omg they're so cute ? tbh i didnt expect chae soo bin and lee ji hoon having chemistry like that. But that was beyond my expectation. They were sooo good omg? and again, what i like about this drama is, this is a romance drama but not cringey and cheesy at all. But i dont like the ending.. Actually i like it bcs its happy ending, but..... Why why why the cameraman didnt shoot lee ji hoo when hugging each other with chae soo bin? ? 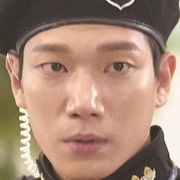 Alice Feb 25 2019 9:48 am Why they dont show lee je hoon face in last eps? Is that person not lee je hoon? christina Jan 24 2019 9:57 am I was lead to this story by Lee Je-Hoon. Having watched him in Fashion King and find him very dedicated to his role. And so he did not disappointed me. Awesome display of emotion and like someone earlier said, don't think Hyun Bin or Park Bo-Gum can do it. So goes to Chae Soo-Bin. Very good skill as her character has a terribly messy life story. The storyline? No issue at all. I don't need to know what happened to everybody before or after as I am only passing by to witness what's within my time ( 16 episodes). I like that when my time was up, everybody I want see being happy were happy. 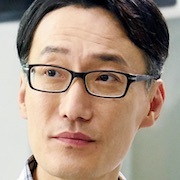 I must mention though I enjoyed seeing Park Hyun-Kwon being a super-doper mighty professor of some bionic limbs instead of always being cast in pathetic characters. Amazing too was you actually show the blue-print of those limbs...daebak! Enjoyed so much....going on to some movies by Lee Je-Hoon. ermm okay ? Jan 11 2019 6:14 am tbh the storyline about an airport theme is really interesting and refreshing as i've never seen something like this before so far. but if i were to talk about the romance part, i wanna say i'm disappointed as i don see & feel any chemistry between lee soo yeon & han yeo reum. i actually think yeo reum and eun sub would be better together lol. tbh throughout the drama i'm actually more excited when i see oh dae gi & na young joo lolol they are so cute and i hope they could end up together. I'm only half way done watching this drama, so far I feel like an airport theme is really interesting as I've never watched any storyline that is similar to this, it feels refreshing and i get to know more about the airport. but if I were to talk about the romance, i'm sorry but up till now i don't feel any chemistry between the male lead and female lead. i don't see any interesting thing going on between them and therefore i don't feel any sparks. i actually ship han yeo reum with eun sub ( ro woon ) more lol. Actually even though soo bin & je hoon are the main lead, im more interested in oh dae gi and na young joo's relationship haha. i actually ship them and hope that they will be together ( did i get the wrong mainpoint ? ) hope they could be the male and female lead of another drama together someday in the future. Guiltypleasure Dec 27 2018 8:02 pm Airport theme things & problems so interesting. Acting of each actors and actress so awesome too. Ha Reum's character develops each episode. All character are strong although not all likeable. But the love story not interesting at all. Hanifah Sausan N. Dec 24 2018 7:32 pm I give 73% for this drama. Actually I came to this drama because of Oh Dae Gi (Kim Kyung Nam) and Na Young Joo (Lee Soo Kyung) who did great in their previous drama (Prison Playbok & Hogu's Love, respectively). After a few episode, i found that they cast many good actors. Their performances are undeniably excellent. The problem is I think in the story-telling. They came up with many great issues actually, but in the end, they didn't go deep enough so that everything seems a bit uncertain and forced. Or, maybe they just have too much ideas. 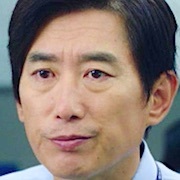 I think it would be better if they dig more and shows us more scenes (instead of just being told in a conversation) of in Lee Soo Yeon's life as a disabled person; the technology of Lee Soo Yeon's wearable and Mr. Jang background; his meeting with Yang Seo Goon; Han Yeo Reum's father story; and Lee Soo Yeon's life with his step-brother and step-father before they were separated. Regarding to the love story of the lead roles, i think they need to explore more on how their characters and traits attract each other. They depend too much on idea of love at first sight and the relation with Han Yeo Reum's father. myxblush Dec 15 2018 1:10 am Umm...felt like I was cheated or something, damn ending. Sorta made me had a minor meltdown like the drama Time-Shigan. Lala Dec 05 2018 2:38 pm Does anyone find it wired that Soo-Yeon's face doesn't show in the last secne? Vichory Dec 03 2018 2:22 pm Lee Je Hoon's performance in this drama is outstanding. Very convincing and he is good at crying, really makes me feel the sorrow and helplessness his character portrays. I doubt Hyun Bin or Park Bo Gum are able to deliver such impressive emotions. I can also feel his love for Yeo Reum. I only wished for more happy and sweet moments between Soo Yeon and Yeo Reum. Each time they plan to go dating or is about to share some romantic moments together, some unexpected events will occur. The drama really focused a lot on their love for each other. Yeah, it would have been great to see Soo Yeon's face at the end, what a pity though. madd Dec 02 2018 12:07 pm @Bob ikr? is SBS always like this? I found its not happened only for this drama. tbh if WSL had 40 eps it'll much better. Bob Dec 01 2018 3:53 am Seemed a rushed ending ... Many details and characters unaccounted for. Did station force the series to end without giving writer a chance to tie up all the loose ends? Too many questions left unanswered. Like male lead was not even called for shooting of final scene? Does the cafe open sign means the story is still open for a sequel? Baffled viewer. Hazirah Nov 29 2018 9:28 am Cuteee security couple??? Hazirah Nov 29 2018 9:26 am Omgg this dramaaaa is amazinggg. Recommended to watchhh and petition for the security couple to future as main roles in a rom com drama??? zai Nov 27 2018 7:00 pm its originally 40 episodes in the beginning i dont know why they just make it into 32 im so upset..
4. What happens to Yeo Reom's father - The most logical anwer why he only shows in the past, never ever once in the present time, is he probably dead. 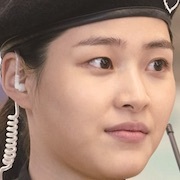 Yeo Reom works at Incheon Airport for him (not to meet him), she never asked So Yoon where is her father currently because probably both of them have know the man has gone from this world. So, So Yoon only could tell what he knows about her father, to cheer her up. 5. What happened to the In Woo's hardisk in the end - either So Yoon still have it or it is in In Woo's hand to make sure no bad guys messed with them again. It becomes their insurance to finally could live normally. 6. Why So Yoon wanted to work at Incheon Airport - Because there is Manager Yang and In Woo. He doesn't necessarily want to work at Airport (even though he admitted he want to be a pilot in the past) he only wants to know what normal life is. Manager Yang could watch over him and he could find In Woo again. MY Nov 27 2018 3:24 am SPOILERS! 1st - Soo-Yeon and In-Woo has been okay.. it reveals that In-Woo never stop for being an older brother to Soo-Yeon.. In-Woo took his father. Soo-Yeon agreed for treatment to live long. 2nd - Ms. Yang get promoted into Director and for sure she didn't divorce with Mr. Choi. Well, I guess everyone get promoted from their position. 3rd. Han Yeo-Reum happy working in the Airport while waiting for Soo-Yeon. 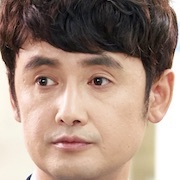 5th - Eun-Sub remain as Yeo-Reum's bestfriend and he was the coolest bestfriend of all KDrama. They end the story without even showing Soo-Yeon's face... and it made me speechless! Nothing else! I still love story of this KDrama! All cast are incredible especially Lee Je-Hoon. His role as half paralyzed isn't easy. Congratulations to all cast of Where Start Land, the writer, the director and all crew! Hope to see you all again in the near future! Adebowale Adewuyi Nov 26 2018 5:35 pm The plot of the story was quite good from the beginning to the middle of the episodes. But went on a down crash with han yeo trim over acceptance to everything Lee soo Yeon conditions.And Lee soo Yeon looking so obsessed with han yeo reum. Pau Nov 24 2018 11:30 pm I started out liking the drama and finding it very sweet. There is chemistry between main leads and second leads. Really rolled my eyes at absurd situations at the airport. Because if you slap a TSA agent you for sure will be taken to a small room and be searching thoroughly plus will be charged for aggression. The gangster plot in the last episodes is getting on my nerves. With the last two episodes lef I just hope they can clarify the plot holes and give this poor guy a happy ending. Gigi Nov 24 2018 10:27 pm Initially I was gonna give up on this drama. I honestly wasn't feeling it. It literally went from a 0 to 10. I don't understand the hate, it's so good . KDrama Chingu Nov 22 2018 5:59 am Now I know why Hyun Bin/Park Bo Gum and Park Shin Hye/Suzy cause the drama started out good but it became insanely unrealistic in the middle of the plot. Lee Soo Yeon (Lee Je Hoon)'s character kinda became creepy which makes him looks obsess to the female lead. I felt disappointed watching this drama but i have to finish for the sake of finishing it. Just watch other dramas like #TheBeautyInside, #Still17 and #TheLastEmpress which currently airs now. I also agree with Michael that when Soo Yeon and Yeo-Reum kissed that's already treated as an ending. Overall, I'll rate this drama 7/10. Angie Nov 22 2018 4:59 am i'm getting bored with the gangster plotline and SY is so stubborn to the point of being annoying now. Only one more episode left but nothing much has been resolved, hopefully they can wrap everything up without rushing the plotline. KDrama Fan Nov 21 2018 12:08 pm Ep 15: A bit unrealistic.! AFAIK, internal viral or bacterial infection from internal injuries, if left untreated, will soon lead to blood sepsis = fever, nausea, diarrhea, feeling unwell, etc = bedridden = cannot work; and eventual death within 1 or 2 weeks. Is SKorea ruled by gangsters.? Are her police useless.? michael Nov 20 2018 9:37 pm Started out nice but as usual somewhere the directors, scriptwriters went retarded. I recommend ppl to stop watching the moment Soo-Yeon and Yeo-Reum kissed and treat that as ending. JAC Nov 20 2018 3:36 pm Why is there an O K corral around the main lead character? He is going to die, so revenge don’t make sense. 이서진 Nov 17 2018 10:55 am weirdly noticed, He Joon was also carrying a walkie talkie on his drama Signal. ? Is this a coincidence? kiwi Nov 17 2018 3:06 am Chae Soo Bin! Bravo! I like how you portrait this simple girl, not smart, sometimes makes mistakes, but very warme heart. Every girl can identify herself in your character because it is not artificial, it is very natural and honest. And LSY who wants a normal life fell in love in 3 seconds for you. I really like how the writer just relates another aspect of love, direct, honesty, without artificial thing because you are a super woman or a super man. Bravo also for others actors as well. I have difficulty to watch other drama after this. Raque Nov 16 2018 7:21 pm I hope that lee je-hoon's character wil not die in this Korean Drama..i love his character so much. Zenia Hikari Nov 14 2018 8:41 pm Totally fall in love with this drama.. I love the way LSY treat n talk with HYR. His sweet voice.. ??? I think Seo in woo try to protected his little brother. But he show it in the hard way. By pushing and threat..
Also love the security couple.. They look cute together..
Zenia Hikari Nov 14 2018 7:40 pm Totally fall in love with this drama.. I love the way LSY treat n talk with HYR. His sweet voice.. ??? rence Nov 13 2018 11:20 am i ship oh dae gi & na young joo. Pls more scene about oh dae gi & na young joo, they are so cute. Kiwi Nov 12 2018 3:30 am Highly recommended this drama. It's a dream team: Lee Je Hoon, Chao So Bin and Lee Dong Gun and the english ost is so beautiful. This drama has lots of good vibes and ingredients; new theme about what can happens in the airport, sincere and strong love, the actors are so good in portraying their feelings, there are also hilarious scenes and and secrets and mysteries to discover. Lee Je Hoon voice, love is so deep. Jo Huey Nov 09 2018 7:57 pm This drama was excited and made my heart race, and couldn't wait longer to see the next episode. Hope the lead actor, Lee So Yeon and actress, Han Yeum Reun will have a happy ending. Mila Nov 06 2018 10:52 pm I love love,!!!! This show!!... it’s getting better and better... but the cliffhanger in today’s episode was so sad ?!!! !....I hope nothing terrible happened to Han Yeo Reum!! ljmrln Nov 06 2018 4:49 am this drama is so good!! highly recommended... at first, han yeo reum was so annoying but if you’re going to watch the next episode, you can see that han yeo reum’s character is developing. That is why i love this drama because the story, plot and actors who were really good!!! I really love the chemistry between lee soo yeon with han yeo reum and oh dae ki with na young joo!! I wish the ratings are getting higher because it deserves the award! For the episode 7-8, ej falcon and lauren young did their great job!! Proud Pilipino here!!! Neri17 Nov 05 2018 6:02 pm In love with this kdrama ??? Especially to the episode of Ej Falcon and Lauren Young,you made cry guys,you nailed it.. Good Job. Congratulations to the both of you. Proud Kababayan here ??? God Bless. Yayaya Nov 01 2018 9:12 am Who's the Cute guy who got hitted with a bottle on episode 16??? Wo Ai Ni Nov 01 2018 6:54 am I really love this series! It’s sweet yet not all about love story. Kori023 Oct 31 2018 11:49 pm I wish the ratings were Higher. This drama is so good. People give this drama a chance. You will love it once you start watching each and every episode. Each week gets better and better. Hyperborea Oct 31 2018 4:21 pm Great drama, the best in the autumn 2018. Talented actors. Anon Oct 31 2018 12:15 pm I love this drama but i chae so bin’s makeup is too white for her. Its keep me distracting when i look at her. Can her mua choose the perfect shade for her??? Caution Wet Floor Oct 30 2018 8:23 pm ISTG I Hate Seo In Woo! -______- He made an abused airport staff to knee down to the dumb passengers who started the fight!!. He also wants to reveal SooYeon's identity (which is passed his privacy). He's going too far bruh! I just hate his character and I just want him to die. Bye. Annoyneemous Oct 30 2018 11:27 am Ep 8 (29 Oct 2018); The drama is unrealistically depicting SKorea as a lawless place where passengers can mistreat/abuse airport staff and then get an apology and compensation, as if paying pax are drama queens/kings. Is there no airport police to handle unruly and abusive pax, eg arrest and jail them.? This is quite annoying. Other than that, good drama. Lee Je Hoon, Chae Soo Bin, fighting.! 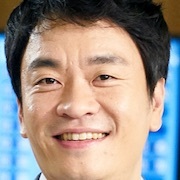 Andie Oct 30 2018 9:11 am I Im confused about Choi Moo-ja. Is he trustworthy or an enemy? Fatehah♡ Oct 30 2018 7:02 am Rowoon i love u??? Chloé Oct 29 2018 10:12 am Love the fact that they keep Soo-yoon’s identity a mystery till a certain episode. Hotelier Oct 27 2018 1:32 am Lee soo yoon, totally swoon by his character! I like the combination of Lee soo yoon and han yeo reum! xisuka83 Oct 26 2018 1:58 am hmm during 14 first episoded, I like Ko Eun Sub character better than Soo Yeon, if only he can express his feelings to Yeo Rum, I bet they will be more than best friend.. :) anyone has the same idea ? in natural, Eun Sub is more manly than Soo Yeon.. Soo Yeon had more power because of his helper device..
Luckyone Oct 24 2018 6:47 pm I really like this drama. It's my favourite from the ones i'm watching right now, and i think that it is mostly because of Lee Je Hoon portray of the character. I really like the main couple as well, they balance each other pretty well. Nice ?? mary ann francisco Oct 23 2018 9:03 am drama plot, story and actors are really good..i love it. excited to see all episode. Tina Oct 23 2018 6:57 am Drama plot is so new and is interesting too! Can't stop thinking of the possible scenes on the next episodes; love it!!!! aizle Oct 22 2018 8:05 am I really love Je hoon's character and also chae soo bin they are really good to see together and I am very impressed to the story !? Katherine Oct 21 2018 10:12 pm Loved Lee Je Hoon's acting since the series 'Signal'. A wonderful series that made you wished that love really happens 'Where Stars Land'. Amanda Oct 17 2018 7:23 pm I love the show so far !1 And people wondering about the OST it will be released soon..cant wait until its out!!! Pamela Kay Oct 17 2018 2:42 pm I am so glad that the other actors and actress's declined this drama. Lee Je-Hoon is perfect. Chae Soo-Bin is doable since I liked her in I Am Not A Robot. I am liking this drama very much and Lee Je-Hoon is at the top of my list for actors. Arihant Oct 17 2018 1:16 am Wow,didn't know the show was from the writer /director of Romantic Doctor,Gu Family Book,Gentleman Dignity,Secret Garden etc..as the show has been flying under the radar.. Really great show so far .Tough to wait for fresh eps. jessica Oct 17 2018 12:44 am Whenever I hear the English ost it hits me harder. Love this drama ? rainman Oct 17 2018 12:22 am got hooked up with this drama. do you know the OST (English ones) in this drama? couldn't find out the title. need some hand here. thanks! neea Oct 15 2018 10:28 pm plot got a little exaggerated, it's not really making sense, can airport service staff board an aircraft which made an emergency landing,how can crew leave a lone pax unattended and deplane themselves, where's the captain, no airport security guards at door? How did he manage to get to the aircraft which is parked outer bay? How did he manage to get back inside terminal alone? See Oct 15 2018 1:17 am I really like this drama so far! Chae Soo Bin's character can be a little annoying at times but I'm also liking her so far! (Spoiler alert) The chemistry is good but I wasn't expecting her guy friend to like her. That's gonna be interesting to see how he realizes that he likes her but she can't reciprocate her feelings. Dakgalbi Oct 14 2018 7:59 am When le je hoon looks so young i didnt realize that he's 10 years older than chae soo bin, his skin is so flawless omg mine is like potato ??? but their chemistry is soooo lovely i love them ?? this drama is super cute!! Mae Oct 13 2018 4:31 pm Who knows the song on episode 5-6? The one with the "bye bye bye neol saenggakhae yojana" lyrics? Ara Oct 12 2018 11:21 pm Whos know ost on eps 5-6?? Scarlet Oct 12 2018 12:54 am Many people complaining about han yeo reum characters. For me, i am absolutely okay with it. She has flaw and slowly, will change for good. Well, this is the writer's styles. Previously, in romantic dr teacher kim, they wrote yoo yeon seok character as egotistic, full of pride, rude and selfish dr. But, he slowly changes throughout the episodes though it takes more than half of the drama. Kirati Sumnima Rai Oct 11 2018 6:40 pm I agree with Alexa. Yeo reum is really frustrating sometimes.But sometimes I feel that I would have done the same things....teehee. Alexa Oct 11 2018 11:27 am I enjoy a lot of kdramas, and this drama's premise is really interesting, but I have to say, that Han Yeo-Reum is one frustrating character. It's like the writer went out of their way to make her unlikeable. It is alright to portray what are in the end realistic, human traits, but her flaws outnumber her qualities. Might be my unpopular opinion, but she really needs some redeeming qualities. I apologize in advance if I annoyed anyone by venting my frustration with the character. Anne Oct 10 2018 9:02 am Very nice drama.i really love it?? Just_ase Oct 10 2018 8:13 am @raylene...same to me...I admire his acting skill and his expression...so lovely ? 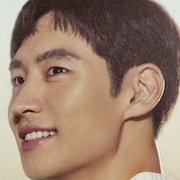 Lee Je Hoon fighting! Nessy Oct 10 2018 7:26 am Such a promising drama. The ratings also show. Looking forward to the following episodes. It was also the first time that I got to see my co-Filipino, Ejay Falcon and Lauren Young, casted in a Korean drama. Huhuhuhu. They nailed their scene that I even cried. Go! Go! Go! Where Stars Land!!!! Watching all the way from the Philippines. Zelle Oct 10 2018 1:33 am Ejay & Lauren brought me here #pinoypride and I also love CSB coz of her acting skill in I Am Not A Robot. anna Oct 08 2018 5:43 pm So many stars passed on this drama, it would be funny if this drama becomes a big hit lol Fighting! Nina Oct 08 2018 5:37 am ? ?Please let me know the title of the English song on episode 2 on the last part. Thank you. Ginger Crunch Oct 08 2018 1:02 am This is a hoot! If you’re looking for a easy going, fun and frivolous drama this is it. If you’re watching ‘The Guest’ this Mon/Tues drama will calm your nerves and prep you for Wed/Thurs night. I haven’t seen any of Chae Soo Bin’s drama so this a first and 15 minutes in to the first episode- I’m staying. It’s worth the time spent just watching her character development and storyline so yep feeling good vibes from this. I’m glad all the actors declined the roles as the cast chosen suit their roles more. Lara Oct 07 2018 1:40 pm Hahahah I’m glade that they declined, I don’t want to Hyun-Bin and Park Shin-hye, I just don’t think they will have that great chemistry ? well maybe they could surprise me tough ? No way I will like Park BoGum paired with Suzy, that guy is talented and needs actress on his level ? 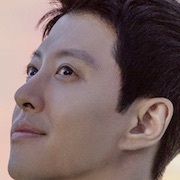 And I’m extremely glade that they got Lee Jee Hoon ❤️?? I just love this guy ?? Soo Bin’s second drama as first lead, happy for her, even tough she was annoyingly loud and her victim mentality was making me hate her, but she soon realized that not everyone is problem free ?? yes fighting guys!! Ren89 Oct 07 2018 1:27 am Lee Je Hoon oppa fighting! Un modeste admirateur Oct 05 2018 12:50 am What I've seen in the first 4 episodes of "Where Stars Land" is absolutely stunning, starting with the visuals of the Incheon International Airport, where this entire drama is set. Every scene is shot from numerous moving angles, so that we get to see not only the characters, but also the passengers rushing into the aisles of the airport, or the sun rising and setting through the huge glass windows, as the airplanes waltz around the landing field. This is poetry in motion! I've never seen this beautiful an airport on film (let alone in real life). And I mentionned only the visuals. I won't have the time to comment on the script and on the actors, which are amazing as well. Anyway, don't miss "Where Stars Land"! 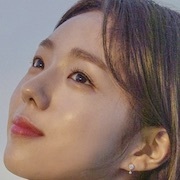 Dhana Oct 03 2018 11:32 pm Am chae soo bin fan ( India) . And so far I like this drama . I thot it's not going to be good but to my surprise it's really good . I just watch becoz of her . Thank you director and writer. Anathasia Oct 03 2018 9:17 am I think his right arm is artificial only.. they didn't mention on this drama if there's fantasy genry. Nancy Oct 03 2018 8:15 am Wow, the actor Kim Woon Hae is all over the place. He just finished the medical drama “Life” then he’s in “Ghost Detective“ and now here in “Where Stars Land” Wow, so busy, he’s a good character actor. AARZOO Oct 03 2018 5:08 am Finished watching first 4 episodes. I got excited when I saw the cast. All three are my favorite actors so obviously, my expectations were high. The plot is interesting so far, very gripping.? So many mysteries yet to uncover. A bit slower in the beginning but I am sure the story will develop in the next few episodes. But still not able to figure if it's a fantasy genre because only melodrama and romance was mentioned. I hope it's fantasy cuz it looks like LJH has some sort of superpower.? ?As usual like other K-dramas, the cinematography is beautiful. Cool visuals. Music good so far. Already in love with the english track in the 1st ep. Go watch it! I recommend it to everyone who is in for a light-hearted drama. Trexie Ann Oct 03 2018 2:54 am don't know why they rejected this beautiful drama, but its a blessing that Soo bin and Je hoon accepted this. This would be my new favorite drama.. Fighting!!!! Anti Oct 02 2018 11:10 pm Wuuuuu i love this 2 episode, i think their chemistry is good tought, and every episode have different problem and story so we can't predict the plot. bcsimjoblessiwatchkdramarn Oct 02 2018 10:45 pm really love the cinematography,remind me of temperature of love name of song that appear when lee donggun pass lee jehoon please anyone? Jashik Oct 02 2018 2:02 pm Dear kdrama-addict: i think it’s your own perspective, maybe for you it’s boring but for others it’s not. For me this drama have a good start, this far i enjoy to watching this! 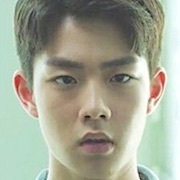 The story is not predictable yet, and in jehoon we trust ? BENCH Oct 02 2018 10:46 am Woahh!!! A very fantastic drama, the writer is indeed infinite when it comes to imagination and also, the details about the airport and it's situation is so professional, like this is the first time I saw a drama taking place in a crowded venue. Indeed, the writer is very detailed when it comes to professionalism. Tibong Oct 02 2018 2:42 am First episode was good. Chae soo Bin just more beautiful in this drama btw. Sera Sep 30 2018 1:01 pm The teasers look like a commercial ad... it's a shame that Hyun Bin and Park Shin Hye declined the roles. It looks good! Sunsetlover Sep 30 2018 2:19 am 3 superbe actors together: Lee Je Hoon, Chae Soo Bin and Lee Dong Gun. Definitely a good drama to watch. sunsetlover Sep 30 2018 2:17 am 3 superbe actors together: Lee Je Hoon, Chae Soo Bin and Lee Dong Gun. Definitely a good drama to watch. I love strawberry Sep 29 2018 12:33 am Omg can't wait for this drama...? anna Sep 26 2018 1:32 am From the previous title, I thought it was going to be something supernatural, but it's just a regular workplace drama then? Hyena Han Sep 23 2018 11:32 am This is one of drama which i anticipated for this second-half year. I hope this drama will be loved and successful since the PD, writer, and actors are one of the best in K-Drama industry. I'm pretty sure this one will be suffers on K-Drama's second-half year competition! YOUTH!!! See you soon, 여우각시별! Daniel Padilla Sep 18 2018 12:46 pm So this is the korean drama where Filipino celebrities Ejay Falcon and Lauren Young will be in. Looking forward to watch this !! Mc Sep 18 2018 9:00 am Oh please... Heres another one. I want to sleep too, but how? i dont even have enough time to watch them all:?? ShaSha Sep 13 2018 8:24 pm Can't wait! I love everyone in this cast. And yes I'm doing a happy dance too! Not sure what the story line is, or genre, but just the cast alone has me excited. Maninder Kaur Sep 11 2018 11:40 pm Yessssssss Lee Je hoon is backkkkkkkk !! Cherry on top is Le Je Hoon and Chae Soo Bin are coming together ... Is it me or anyone else doing happy dancing ? ????????? me Jul 25 2018 1:17 pm Me me me. Give me the main role. namnam Jul 24 2018 10:28 pm Jehoon and soobin pls accept the offers! I want to see Jehoon on small screen again. Fahni Jul 12 2018 2:19 am Kim so hyun..kim so hyun..
UriNamoo Jul 03 2018 2:43 pm Oh? It sounds like Chinese Drama “moonshine and valentine”? I don’t know, Victoria is the female lead. The male lead is a fox that came from another planet, he also have a problem with his eyes (which is completely blind) bcs he’s a half human. The only cure for his eyes is the liver of the girl he loves (yea, so ironic). I don’t know if its the whole plot, but this one sure is different from the chinese one. But the male lead probably a fox since he has problem with his eyes. seli Jun 15 2018 4:55 am kim sae ron or kim ji won please dor lead female!!! Yui Jun 09 2018 4:32 pm Han hyo joo too old for park bogum. actress like suzy/chae so bin/kim you jung/ nam ji hyun/park hye soo/kong seung yeon/kim so hyun/etc. They will be matches.. Cant wait bogum and suzy ?? @Kdramafollower May 09 2018 4:26 pm You're kidding right? If you look at the drama ratings before and after her dramas, you can see that her dramas have done significantly better than those before and after it. Of course, it is because of both the Suzy hype and her costars' hype. She gets a lot of drama offers—why? Because the directors want her. It's not her fault that they do. She chooses her roles very carefully and if she decides to accept and if Park Bogum decides to accept, then I'll happily support and watch this drama. LOL I don't think you quite understand how popular she is among netizens (the general public) in Korea. There's a reason everyone screams Suzy and she has remained very relevant for many years. kormov May 08 2018 10:15 pm can't waitt pleaseee acept the roleee. Kdramafan May 08 2018 7:17 am Not to sound rude, but suzy's dramas always flopped in Korea eg uncontrollably fond and wyas. Park bom gum too even though they are quite famous there, but when it comes to drama k-netizen always judge it from the plot and acting compared to inteenational fans who supporr just for the sake of supporting. Seems her supports come more from international fans rather than K-netizens. This drama seems boring, with suzy mediocre acting skills, I hope she will reject it. Boring plot and mediocre acting skills will only gain more criticisms for her. Paeksang May 02 2018 9:13 pm cant wait for baeksang award!! MC park bogum and Bae Suzy! i'm in if both accept the role!! yipy Apr 27 2018 10:35 am I'm happy omg both are my fav actor actress:( accept it please. gems Apr 27 2018 5:00 am can't waitt pleaseee acept the roleee. boyi Apr 26 2018 10:49 pm park bo gum please accept the role!! goddess suzy Apr 26 2018 2:34 am suzyyyaaaa accept the role... this is the time to shine in ratings queen. Kimy Apr 24 2018 10:53 pm Omooo my favourite actor park bo gum will come back!! i hope you accept this one bogumahhh we miss you so much comeback to smallscreen again!! Yaaalll Apr 24 2018 10:01 am i smell Drama Of The Year YALL. can't wait!! please suzy and park bo gum you must accept this one! Nation first love Apr 23 2018 11:24 am suzy pleaseee accept it:) we miss you! Jjang Apr 23 2018 7:01 am Bae Suzy pleasee accept it, its been a while since your last drama so please accept this we miss you babe. that wirternim tho Apr 22 2018 5:54 am Kang Eun kyung writernim and Shin WOO Cheol PDnim is great pairing. can't wait for PBG and Suzy chemistry thooo.... please accept it!! Waiting for JYPNGG Apr 20 2018 11:30 pm is it going to be melodrama? like the previous drama? or maybe they will be a romcom? i really hope its melodrama tho, similar like gu family book and descendant of the sun.... lets hopeeeee..
BeautyLight Apr 19 2018 9:39 am @Qryi I think Park Shin Hye said no, as you may know Hyun Bin and PSH were offered this drama first (also known as Yeowoo Gaksibyeol or Fox Bride Star), but then the both of them also received an offer for the drama Memories of Alhambra and HB already accepted, so i guess PSH will also accept that drama. LeeyoonTeng Apr 19 2018 1:37 am Park Bogum and Hyeri. I want to watch his second collaborate again. ????? sul Apr 19 2018 12:39 am yes! actually kind of hoping they might accept because i was looking forward to see suzy's improvement following 'while you were sleeping' and it feels like it's been forever since i saw park bogum! Syarifah bahamisah Apr 18 2018 9:41 pm Please accept Suzy & Bo-gum ?? Qryi Apr 18 2018 8:50 pm Park Shinhye rejected the offers ?